I have become very lazy or determined in my rest and relaxation mode. I have not even exerted myself to post for ten days although I have spent a lot of time reading other blogs. My main exertion is to exercise: running two miles a day and lifting weights. I have busied myself with gardening, summer reading (The Tenant of Wildfell Hall, by Anne Bronte) and rediscovering crochet. I have already completed two pot holders and I am eager for more. (Yes I am hooked). I also worked out several sample forget-me-nots, from the pattern mentioned in my previous post. I had to seek out Portuguese needlework suppliers to find cotton yarn fine enough. I am so thankful to live in a multicultural city. I will have to post some crochet photos soon. 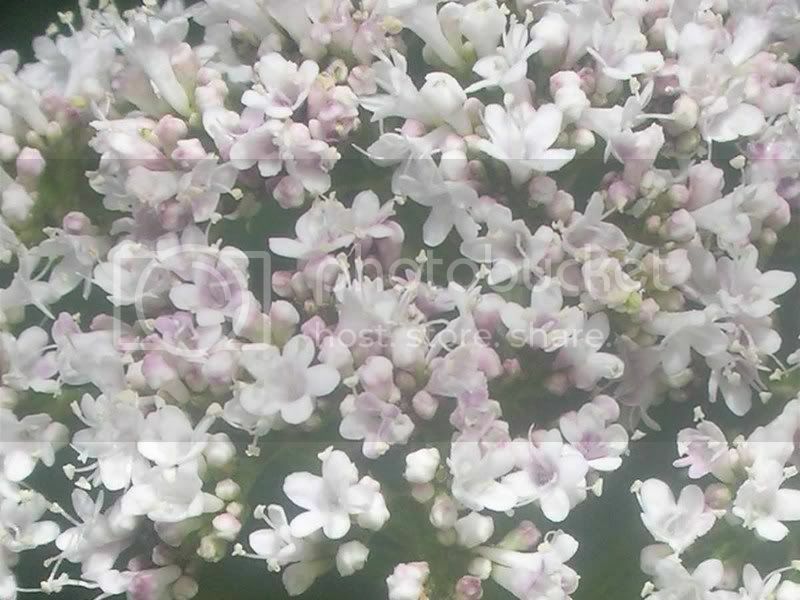 For now I leave you with a close up of the valerian that grows in my back yard. I'm not sure if it is as intoxicating as valium but as I spend a lot of time in the back yard it may be partially to blame for my summer langour. posted by Scheherazaad @ 7/18/2007 08:16:00 p.m.